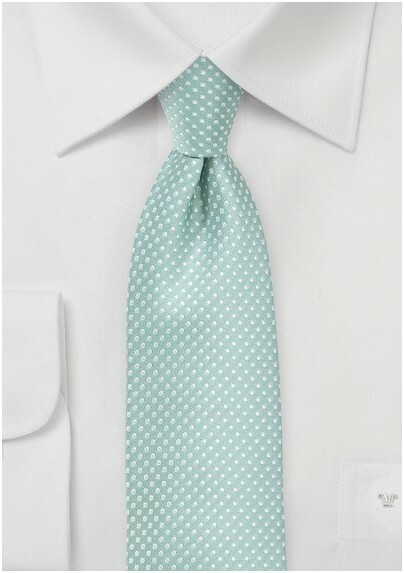 This light mint necktie is one of our most popular ties for wedding parties and formal events. 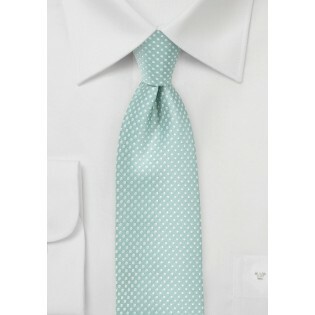 With a cheerful green hue and lovely white pin dot pattern, this piece breathes life into any outfit. Handwoven from a quality microfiber that's wrinkle resistant and easy to clean. Available in a matching pocket square.